Baked goods are an indulgence, especially when you’re talking about desserts and not about simple loaves of bread. Between layers of frosting and generous amounts of sugar, many people feel guilty about eating desserts because of that indulgence, even though it never hurts to indulge at least once in a while! 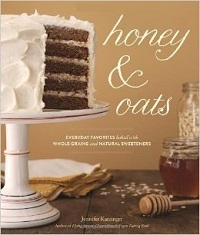 Honey & Oats: Everyday Favorites Baked with Whole Grains and Natural Sweeteners is a cookbook that showcases lower sugar baked goods that are made with whole grains and sweeteners that include honey, maple syrup and coconut sugar for desserts that are just as tasty as their classic counterparts and shouldn’t make you feel guilty even if you do end up having that second slice. 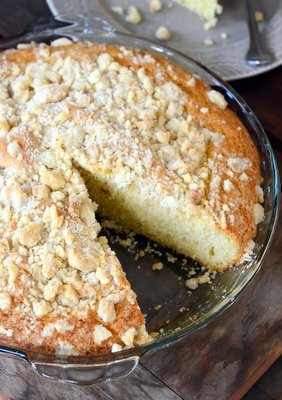 The cookbook is divided into several chapters: Scones & Muffins, Cookies & Bars, Quick Breads, Yeasted Breads & Crackers, Pies & Tarts, and Cakes & Frostings. It definitely slants towards the sweet side of the spectrum, though the chapter on yeast breads and crackers is decidedly savory. They recipes will look familiar at first glance, but they all use whole grains such as teff flour, spelt flour, barley flour and other flours. These alternative flours might not be in stock at your local grocery store, but there is a brief guide at the end of the book that will tell you exactly where you can pick them up if they’re not readily available in your main grocery store. Many of the recipes in the book are gluten free or vegan, which makes them suitable for a very wide audience. The recipes themselves are clearly written and easy to follow along with, even if some of the ingredients may not be ones that you’re used to working with on a regular basis. The recipe notes explain why certain whole grain flours have been chosen, and tips scattered between the recipes come in handy for any questions that might arise as you bake. 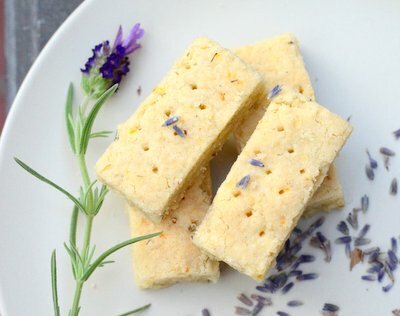 Not every recipe is accompanied by a photo, but many of them are and the photos are very tempting – and none of them give away the fact that these baked goods aren’t made with your average all-purpose flour. Great book – thanks for sharing! I’m so glad to find someone else who has this book because I’ve been trying to figure something out! In the opening, she says that she will include a 50% AP flour option for people who aren’t totally on board with whole grains yet. In most recipes, the 50% option is with einkorn, which makes me think that when she says “einkorn flour” she means AP einkorn. But she says that you can exchange the einkorn in the recipes with standard whole wheat flour… which makes me think she’s talking about whole einkorn. Arg! Also, does anyone know how easy it is to exchange the different varieties of wheat? Like spelt, kamut and einkorn are all listed (plus whole wheat pastry flour) and buying 4 kinds of wheat flour (not to mention the whole and light spelt) seems a bit much.